Traditional comparison shopping can be difficult for customers, requiring them to go from one store to the next, note prices, and return to the least expensive one later. Even with modern technology, the process can be complicated. Consumers can easily miss a great deal by simply leaving one website out of a web search. To make the process easier, comparison shopping engines have emerged, allowing a customer to view prices from a variety of retailers in one place. Many of the most popular comparison shopping engines combine brick-and-mortar with online retailers to give customers the full picture. As these sites increase in popularity, retailers in all industries are noticing an impact. 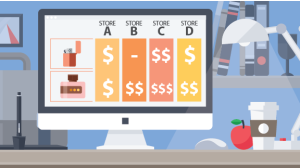 Here are three major ways comparison shopping engines are affecting the retail industry. At one time, businesses could get away with being undercut on pricing, since many customers didn’t want to drive from store to store to find the best price. Comparison shopping engines have given customers the ability to see the lowest price in real time, allowing them to find the cheapest price at any given moment. This brings challenges to retailers, however, since it’s almost impossible to remain aware of competitor pricing 24 hours a day without monitoring their pricing. Some businesses assume that they can get away with slashing prices and making up for it with higher-priced shipping, but comparison shopping engines are making that practice obsolete. Customers can now compare prices with shipping built in, which means retailers are competing with the many businesses now offering free shipping. Local businesses must keep in mind that customers may not have to pay sales tax on the items they buy online, giving e-tailers an advantage. For the average customer, today’s shopping experience is a hybrid of online and brick-and-mortar, combining online and in-store research with online and in-store purchasing. Retailers must offer a seamless experience that transitions a customer from mobile to PC to store, offering consistent pricing throughout. This seamlessness matters as much as, if not more than, capturing the business of customers located nearby. Comparison shopping engines are leveling the playing field for online and local retailers, allowing customers to search for the lowest total price. As this technology evolves, businesses will be required to be more competitive than ever, finding ways to cut prices without sacrificing profits. Comparison shopping engines also serve as a convenience to businesses, which can now keep an eye on what competitors are offering from the convenience of a mobile device. Sometimes it may be hard for retailers to keep an eye on the prices on their thousands of products, and that’s where having a service to price track competitors is key.